Our collection of Jessica Galbreth products is extensive. 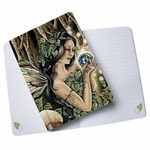 We carry wide array of Jessica Galbreth Art Prints, Ceramic Mugs, Necklaces, Clothing, Journals, Boxes, & more! 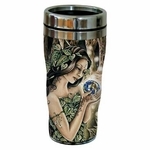 We bring you all aspects of this amazing fairy and goddess artist's products. All Jessica Galbreth figurines are from the Dragonsite & Fairysite lines. 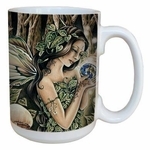 Each goddess & fairy figurine is handmade, hand painted, and highly detailed. Each collectible comes packaged in form fitting styrofoam placed inside a full color gift box.